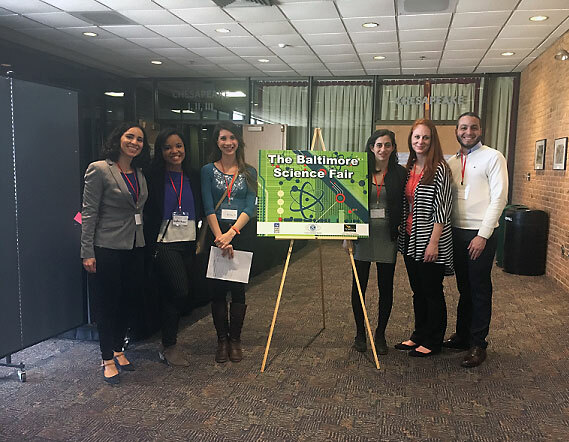 The Baltimore Science Fair was held this past weekend at Towson University. Over 100 middle school and high school students from Baltimore City, Baltimore, Carrol, Cecil, Harford, and Howard Counties participated, spending many hours on Saturday describing their work to a LOT of judges. Judges came from all over, including FDA, other NIH institutes, US Army, US Coast Guard, US Air Force, NSA, and Johns Hopkins. Thanks to the donations of IRP staff, the our team of judges was able to give out over $500 in prizes to nine impressive young scientists.